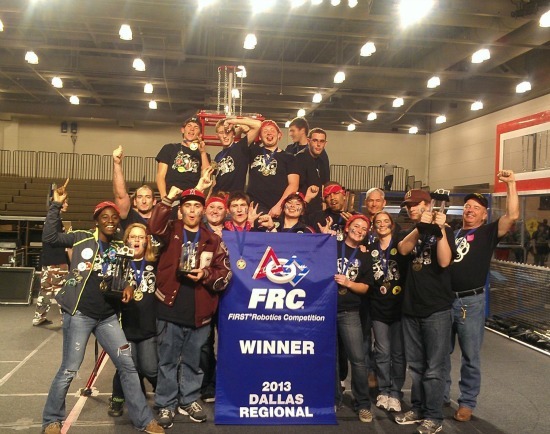 Celebrate with the BHS Robotics Team 4610 as they raise community awareness of careers involving science, technology, engineering, art design, and math at the 3rd Annual S.T.E.A.M. 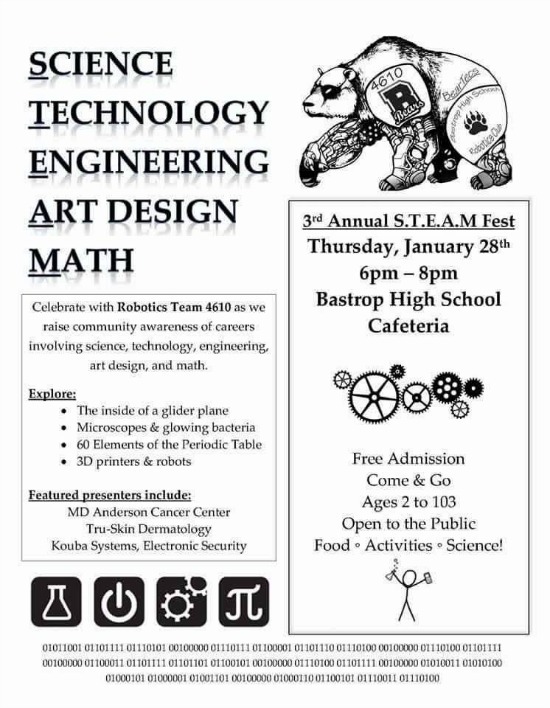 Fest on Thursday, Jan. 28th, from 6-8pm at the Bastrop High School cafeteria, located at 1614 Chambers Street in Bastrop. It's open to the public, and admission is FREE for all ages! Explore the inside of a glider plane, microscopes and glowing bacteria, the 60 elements of the periodic table, 3D printers, robots, and more! A few of the featured presenters include: the MD Anderson Cancer Center, Tru-Skin Dermatology, and Kouba Systems (electronic security). Grab a friend and come enjoy the food and activities at S.T.E.A.M. Fest!